Linsey Rippy has seen firsthand how a new toy can give a hurting child a moment of happiness — and give a hurting parent hope. So each year, she organizes a holiday toy drive to bring both to Mayo Clinic. Linsey Rippy understands that sometimes, a toy is more than just a toy. Linsey's two daughters, Madi, 11, and Sydney, 8, were diagnosed with dilated cardiomyopathy when they were toddlers. Each had a heart transplant at Mayo Clinic and have logged many, many long hours in hospital beds. And both have had those hours pass more quickly thanks to toys donated to the hospital. "It seems like a small thing, but getting a new toy that someone donated makes you feel like you're not alone," Linsey says. "It makes you feel like people are thinking of you. It gives you hope." That's a gift the Rippys now give to families in similar circumstances. 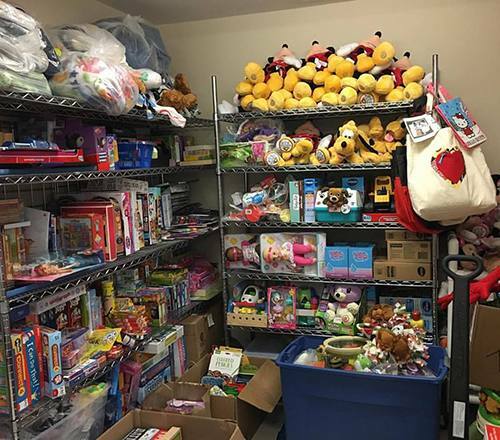 For the past seven years, they've spearheaded holiday toy drives to help stock the toy closets at Mayo Clinic Children's Center and Ronald McDonald House in Rochester. Madi and Sydney help, picking out items sure to appeal to the target demographic. Linsey and her friends then deliver the bounty in mid-December, loading up cars and minivans before heading to Rochester from the family's home in the Twin Cities. Linsey tells us the effort is "so much fun." Staff at Mayo Clinic, however, call it something else. "It's incredible," Lisa Burton says. 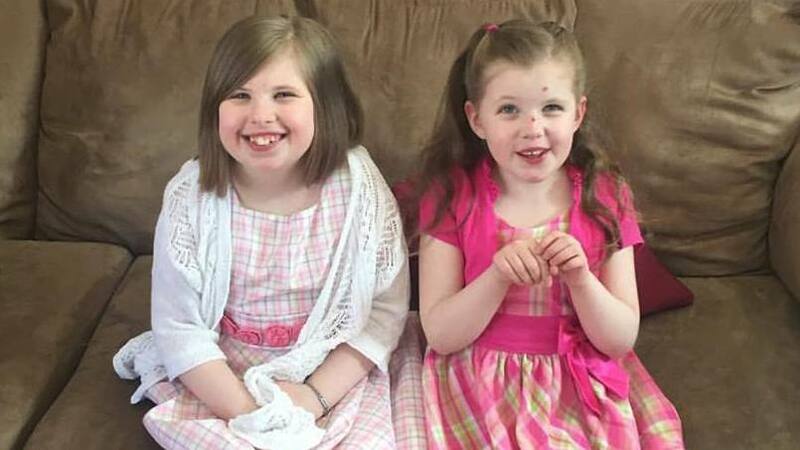 Burton, a respiratory therapist who cared for Madi and Sydney in the ICU, is impressed that the Rippys have "turned their misfortune into something so positive for others." Jason Zwiefel, a nurse who has also cared for the Rippy girls, sees the benefits of the donated toys firsthand. A toy "can be a helpful distraction" when a child's caregiver needs to change the dressing on a wound or take a blood pressure reading, Zwiefel tells us. He says toys can also be a souvenir, a positive memory to "push aside the negative memories of the (hospital) experience." Call it good medicine. "It is amazing to see a kid's face light up when they get an unexpected gift," says Jonathan Johnson, M.D., a pediatric cardiologist at Mayo Clinic. "I think that sometimes, kids begin to fear the unexpected visitors at their door, thinking it is going to be another blood draw, or another provider there to talk to them about their medical issues. But when the visitor is someone from Child Life or the nursing staff with a new toy or game, it helps take that fear away." This year, the Rippys hope to make their largest delivery yet. They've teamed up with the nonprofit organization Ireland's Hope, which is dedicated to increasing pediatric organ donation and providing financial support to families of children undergoing heart transplant. Patti O'Connor, who founded Ireland's Hope, tells us her work is guided by the idea that to whom much is given, much is expected. "If we put all of our individual 'muches' together, we can make a difference," she says. If you'd like to make a difference donating to this year's toy drive, email Linsey at shorti651@gmail.com. You can also help by purchasing something off of the Amazon wish list Linsey created, with gift ideas for infants to teens. Then gift us with your comments below before using the handy social media tools atop this page to share this story with others. Learn more about the Pediatric Heart Transplant Program. Explore Mayo Clinic Children's Center.